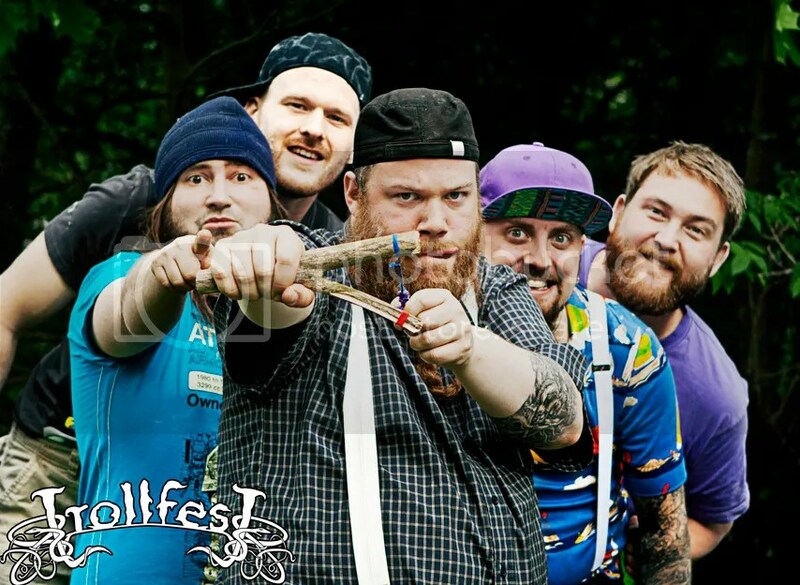 Norway’s TROLLFEST has today released a video teaser for the band’s upcoming fifth full-length album. With artwork by the Swedish cartoonist Jonas Darnell, who originally created the iconic metal duck from TROLLFEST’s “Villanden” album, and design by Terje Johnsen, the 13-track “Brumlebassen” is set for release on NoiseArt Records in August of this year in both limited edition digipack format and gatefold vinyl. The video can be seen at http://www.youtube.com/watch?v=w-EXKg6KDjM or below. With a line up that includes current and former musicians from bands as varied as URGEHAL, PANTHEON I, UNTIME, MELCH, HALLUCINATIONS, POWERSWORD and SARKOM, TROLLFEST’s members bring with them not only a wealth of experience and the skill to make use of instruments like the accordion, the banjo and the saxophone, but also a sense of diversity that allows the band to create a sound that is distinctly its own. Whilst “True Norwegian Balkan Metal” goes some way towards describing the TROLLFEST sound – hinting as it does at the extreme end of metal, with a good pinch of local traditional folk – it doesn’t really go the whole way towards capturing the sense of fun and sheer exuberance with which the band tackles everything it does, whether it involves playing in the studio or performing live, where the fan’s circle pits have become legendary. Hermosas vistas de su país y muchas ganas de oír ya los nuevos temas. Son grandes vds!